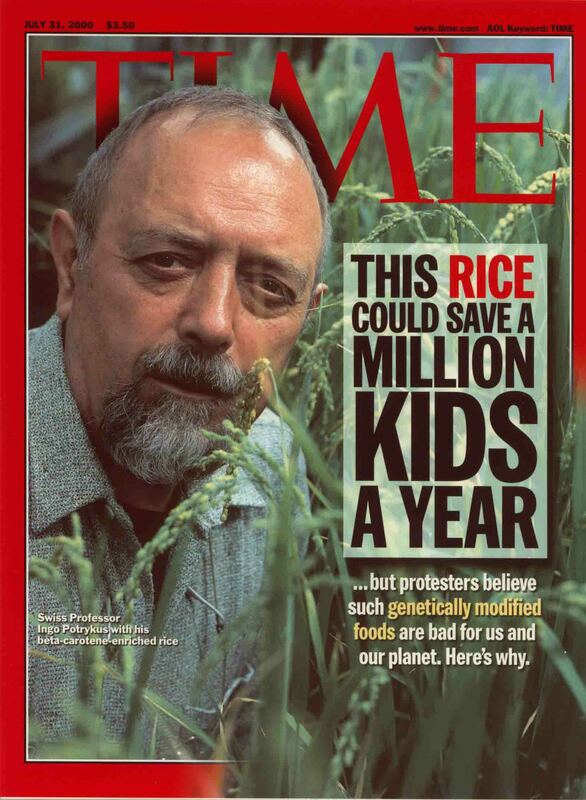 The world’s most vitriolic propaganda war is about… rice. Golden Rice. 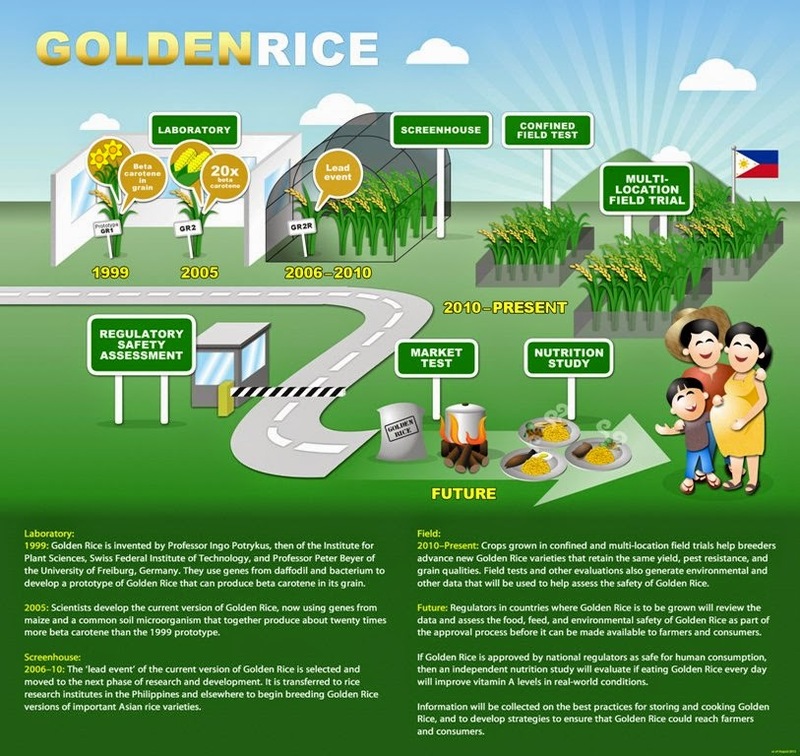 An information sheet about golden rice published by IRRI (International Rice Research Institute), a member of the CGIAR consortium, showing the stages in the approval process of Golden Rice, from small-scale laboratory tests to large field tests to market tests. At the end is a happy family getting ready to eat dinner. To the top right is the flag of the Philippines. 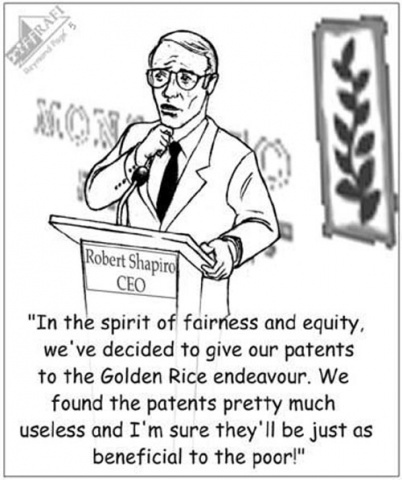 “Golden rice, oh no!” From the article All those involved in Hunan golden rice incident penalized by Rebecca Lin. Greenpeace: “Hands off our rice”. Genetically engineered (GE) ‘Golden’ rice illusion. Fake remedy for vitamin-A deficiency. 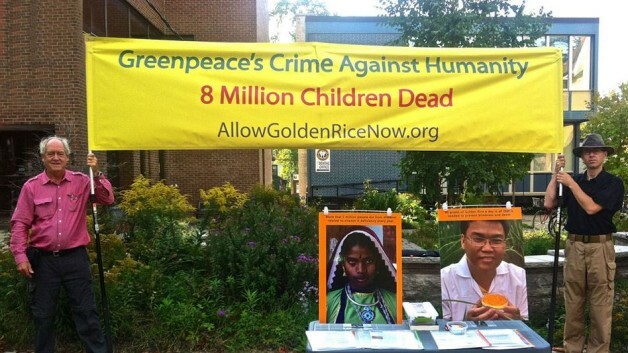 “Greenpeace’s crime against humanity 8 million children dead” – Patrick Moore protests against Greenpeace’s protests against golden rice. 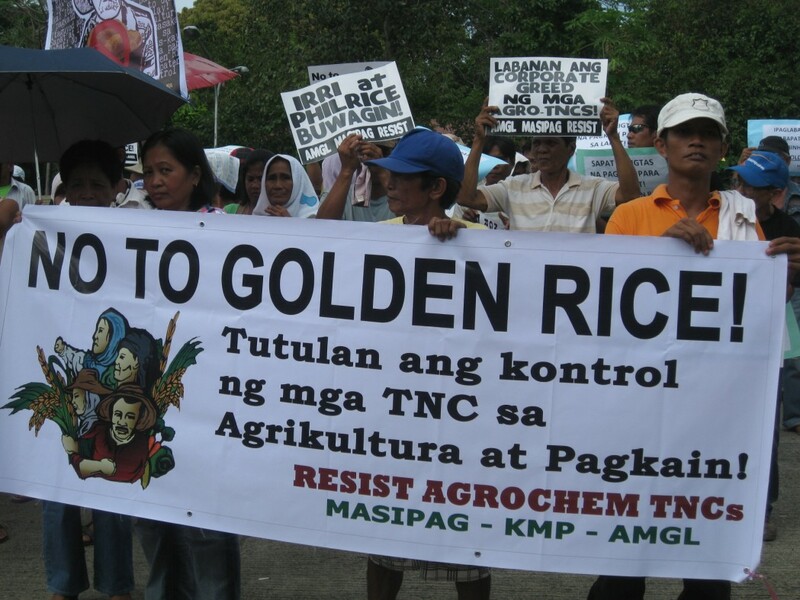 A protest against golden rice in the Philippines. From the article Militant farmers destroy ‘Golden Rice’ facility by asingh in Asian Pacific Post. Media Advisory. 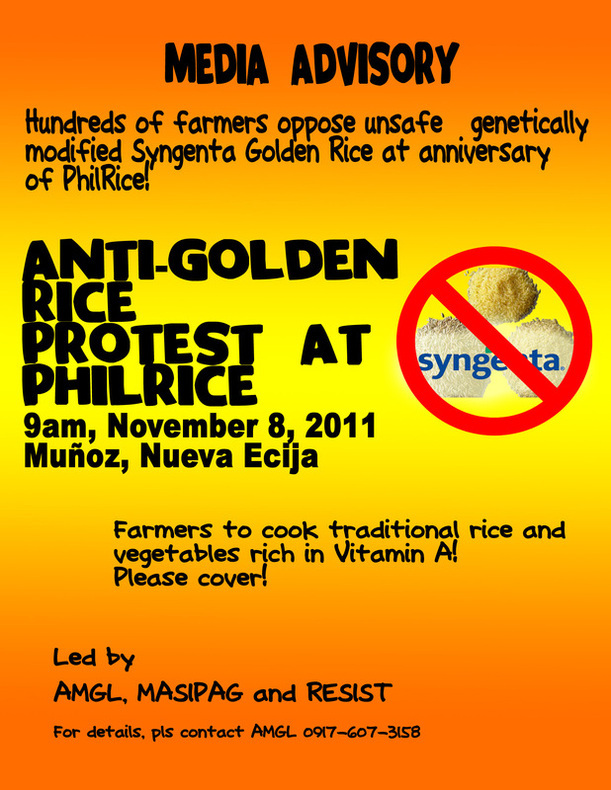 Hundreds of farmers oppose unsafe, genetically modified Syngenta Golden Rice at anniversary of PhilRice! Farmers to cook traditional rice and vegetables rich in vitamin-A! Please cover! A pamphlet announcing a protest against Golden Rice in the Philippines in 2011, from Farmers’ Alliance in Central Luzon Philippines. From the article Asian farmers unite to stop Golden Rice, published by GRAIN. 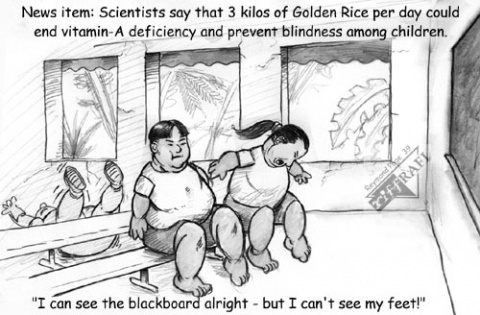 Graph ‘Golden rice – solving vitamin A deficiency’, from the article 10 grains of delusion: golden rice seen from the ground published by GRAIN.